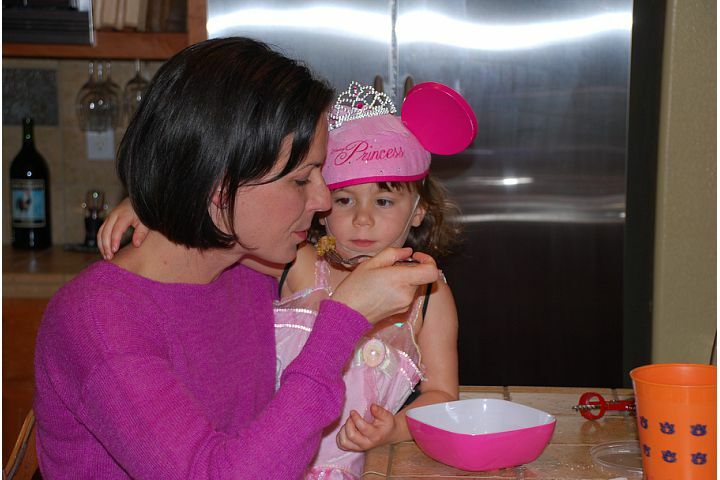 I frequently have conversations with other parents about our diet and how it has benefited our family. Now that we are fully mainstreamed and Charlotte participates in preschool, ballet, and swimming lessons, other parents are genuinely surprised and interested in the issues we’ve overcome. Most people want to hear about our successes and seem comforted and encouraged by the fact that food based intervention can help some Autism symptoms. If you’ve had one of these discussions with me, then you know I try not to push too hard. I respect each family’s current needs and situation. This has been a long process for us with lots of learning along the way. I typically don’t nerd-out in those conversations and say what I really want to say, but last night I got brave and talked about food addictions with some new friends. It was fairly well received, so here goes. You would probably agree with me that sugar is addictive. Well, what we came to realize the hard way as a family is that everyday foods that contain gluten (wheat protein) and casein (milk protein) are addictive as well. The proteins bind to opiate receptors in your brain giving you signals of pleasure and telling you to eat more. That’s how foods like grilled cheese, pizza, and macaroni-and-cheese (all containing gluten and casein) taste so good and have come to be known as Comfort Foods. Each of our opiate receptors respond differently to different foods which is why some people crave salty potato chips while others seek out the chemicals in a diet soda. Will Power doesn’t stand a chance when you’re trying to eat just one piece of pizza or quit your nightly visit to the freezer for ice cream–which is why eliminating these foods is so difficult and brings on awful withdrawl symptoms like crankiness, brain fog, and more cravings. This explains why our kids love junk food and sugar so much. They get an immediate response that they recognize as pleasure. The foods taste good and they seek out more. Foods like vegetables and meat may not give the same pleasure signals. The cravings for processed foods are real and strong, and it plays out very simply in a child’s mind–I like this and I do not like that. So hopefully it’s beginning to make sense why I advocate removing as much sugar and processed foods from your child’s diet as possible. It is a difficult but necessary task to getting them to open up to new foods and try different flavors and textures. We have seen incredible success by taking a slow approach to removing the addictive foods that were preventing essentital nourishment for Charlotte and Dana. When we were feeding them bread, pasta, and milk they would have never touched foods like Brussel sprouts, avocado, broccoli, kale chips, beets, and the loads of fruit that are now part of their regular diet. It is so satisfying to enjoy these foods with them without bribery or punishment. If you are considering the Paleo diet for your child, observe his or her food choices for a couple of days. Get information and see what needs to be addressed. Which foods is your child asking for consistently? What type of habits has he or she developed? What seems manageable to cut back on? Can you make any subsititutions for less addictive foods? For more tips on cutting back on processed foods and incorporating different textures and flavors, see recommendations & advice. Also, please feel free to share any helpful tips that have worked for your kids in the comments. This entry was posted in Autism, Meals by peacelovepaleo. Bookmark the permalink. This makes so much sense. I appreciate the fact that you are recommending a slow reduction to the comfort food habit. I would think by replacing high sugar snacks with low sugar or natural sugar snacks would be a good way to start.